A US judge ordered the government on Friday to pay the costs of reuniting immigrant parents with their children after they were separated by officials at the U.S.-Mexican border. The U.S. government is working to reunite around 2,000 children with their parents, who were separated in detention as part of U.S. President Donald Trump’s “zero tolerance” policy to deter what he has said is illegal immigration. “It doesn’t make any sense for any of the parents who have been separated to pay for anything,” said U.S. Judge Dana Sabraw at a hearing in San Diego. Sabraw in June ordered the children reunited by July 26, and the government missed a deadline this week for getting the youngest children back with their parents. The case stems from a lawsuit brought by the American Civil Liberties Union (ACLU). Their lawyer said at Friday’s hearing immigrant parents had been told by immigration officials they had to pay for their travel and DNA tests to verify family relationships before being reunited with their child. “The government will make it happen,” Sabraw responded. 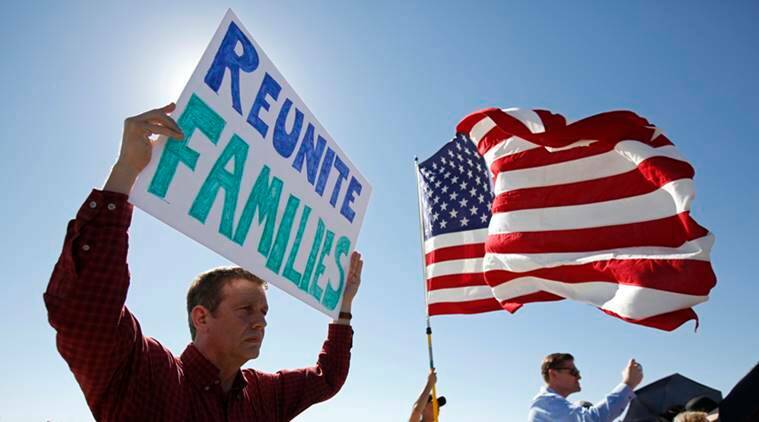 The government has said reunifications have been slowed by the need for DNA testing and criminal background checks on parents, and to determine their fitness to care for their children. The Trump administration adopted its family separation policy as part of an effort to discourage illegal immigration. It buckled to intense political pressure and abandoned the policy on June 20. Published on Sat, 14 Jul 2018 02:23:27 GMT, © All rights reserved by the publisher.